Whenever selecting, equipping, changing face or moving, a sound effect plays. This sound effect will not play when pets are turned off. Click to change between versions. 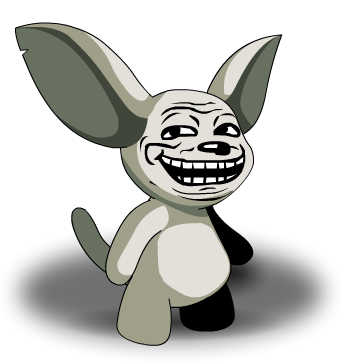 Description says: "Trollface says: click twice. Click the face to make it angry." 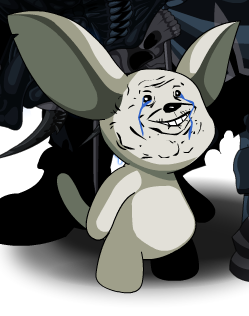 Previously called "Multi-RageFace Battle Moglin". Note: This is a parody of the internet meme Rage Guy. Note: This is a parody of the internet meme Trollface. Note: This is a parody of the internet meme Forever Alone. Thanks to Flitterifie and 2rocket.